Newly discovered fossilized remains from Argentina are a bizarre new species that can only be described as a "sabre-toothed squirrel". 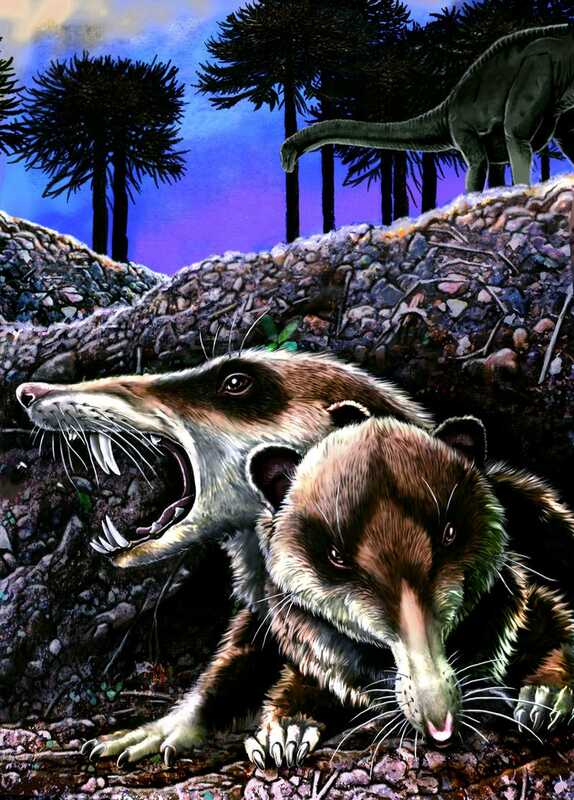 The fossil bridges a 60-million year gap in our knowledge of the evolution of early mammals in the Americas, and bears a remarkably close resemblance to Ice Age's Scrat — who is from a wholly fictional species. And that's not its only link with fiction — the creature's been dubbed Cronopio dentiacutus, and the Cronopio part is after fictional, bizarre creatures that appear in stories by Julio Cortázar. The fossils are the first mammalian remains from the early Late Cretaceous of South America, and they show evidence of highly specialized chewing muscles, as well as teeth and skulls unlike any other mammals from this period around the world. Because of this, the new discovery shows a tremendous amount of information about species specialization in a period we know very little about.